After Niall Quinn failure to get the fans out of the dodgy satellite pubs, sunderland have gone back to their tried and tested route of giving tickets away. Thanks to one of our spies on Wearside we were passed the following – University of Sunderland Alumni Association are passing on free sunderland tickets for matches this season, which basically means anybody who has graduated from sunderland University would be in line to apply for tickets….not exactly the most deprived section of society I would guess. 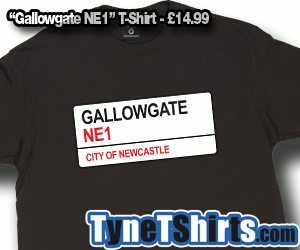 Any of you out there went to the mackem Uni? Get ready for your free derby tickets! Sunderland AFC v Liverpool on Saturday 15th September, kick off at 5.30pm. The tickets are for the new Family Zone which has been designed to provide young fans and their family the chance to enjoy the matchday experience. *Please note, these pairs of tickets are for an adult and a child under the age of 16. Tickets will be allocated on a first come first served basis, you will be notified by email if you are successful. Tickets have to be collected from the University of Sunderland Gateway Building, City Campus the week before each match. We will be giving away more of these tickets for each of Sunderland AFC’s home games throughout the season, so please look out for more news on tickets in the future.